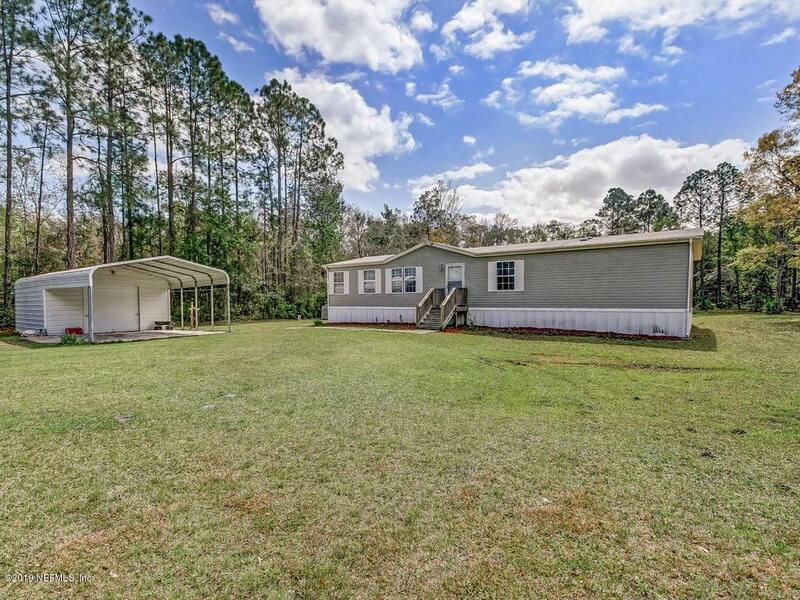 1.5 Acres of Country Living w/city access. 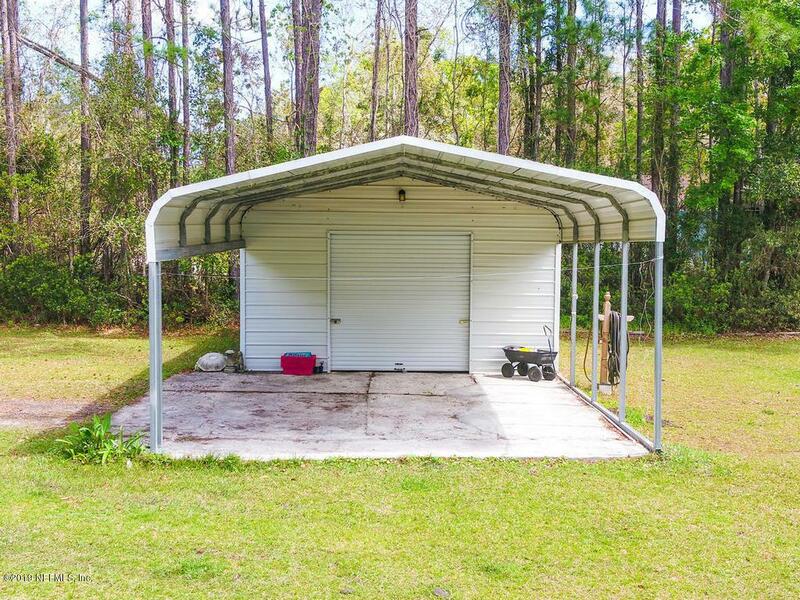 This is Amazing property and home has so much to offer!! 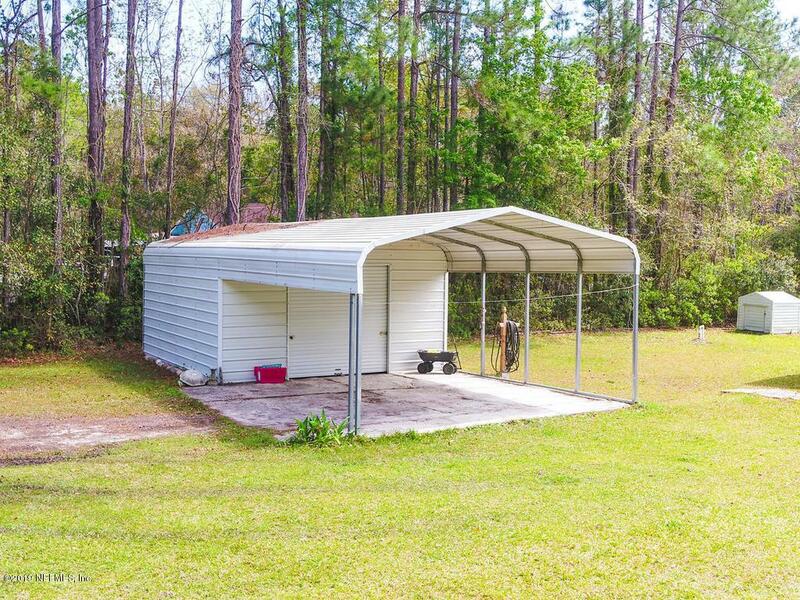 A 3/2 MH with a 20 x18 Shed, 20x18 Carport. Step out back to your 16x16 Screened in Porch to enjoy your privacy. 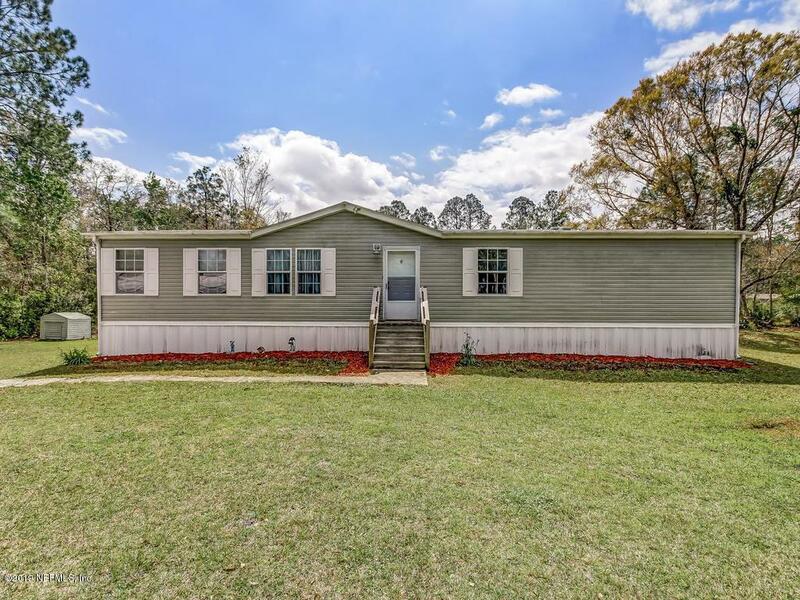 HOME FEATURES, New well, open floor plan with split bedrooms, two large living areas, dining room and a utility room off of the kitchen. The spacious owner suite offers a large closet, double vanity and a garden tub. Minutes to RiverCity Market Place, I-95, I-295. and the Airport.